Now that the most recent scientific estimates have shown that China has become the world’s largest source of greenhouse gas emissions, China’s influence on the world’s environment and sustainable development highlights the importance of tailoring Chinese climate change law to conform with the requirements of international conventions and agreements on climate change. 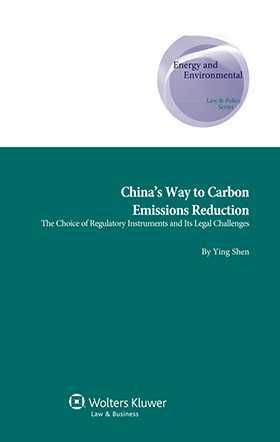 This thorough analysis, based on an examination of climate status, legal background, and current regulatory systems in China, examines the potential role of different policy instruments in reducing carbon emissions in order to find an appropriate choice for China, and recommends approaches to key issues for relevant authorities. future direction of an emerging carbon market in China. The analysis assesses the critical costs and benefits of each approach in the context of selected case studies, taking legal literature in the field fully into account. Given that the Chinese government is taking steps to reduce emissions by altering energy production and usage and is signalling a willingness to make similar commitments in a multilateral treaty, it is very timely and important for lawmakers and scholars, within and outside China, to think about new and appropriate regulatory measures to respond to the crisis and plan for a sustainable future. This study provides not only a useful benchmark for both China and other countries in formulating initiatives on enhancing climate protection, but also details the global implications for governments and for international organizations concerned with the understanding between China and the rest of the world in the context of climate change mitigation.